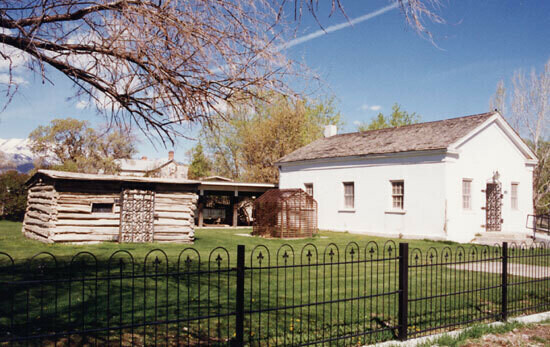 The ill-fated Donner-Reed party of immigrants passed through the Grantsville area in 1846. They abandoned many of their possessions as they struggled to cross the nearby salt flats, and some of these objects are displayed in this museum. A month behind schedule on their journey to California from Springfield, Illinois, the group decided to follow a new route, the Hastings Cutoff, which followed a supposed trail from Grantsville to Pilot Peak. The decision added many more days to the journey, and sealed their fate and their fame. Arriving a day too late for access through the pass that now bears their name, the Donner Party was caught by winter storms in the Sierras, and many in the group perished, and some resorted to cannibalism.